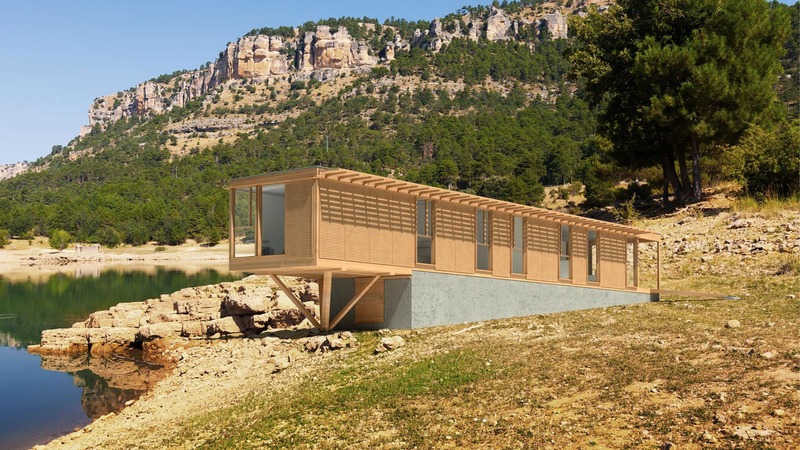 Ubuild - Modular construction system of prefabricated ecological wooden houses. Freedom of construction and mobility at anytime. 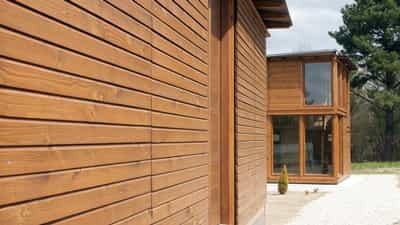 Ubuild is a new, simple and efficient way of building that allows for a more simple and versatile building process. 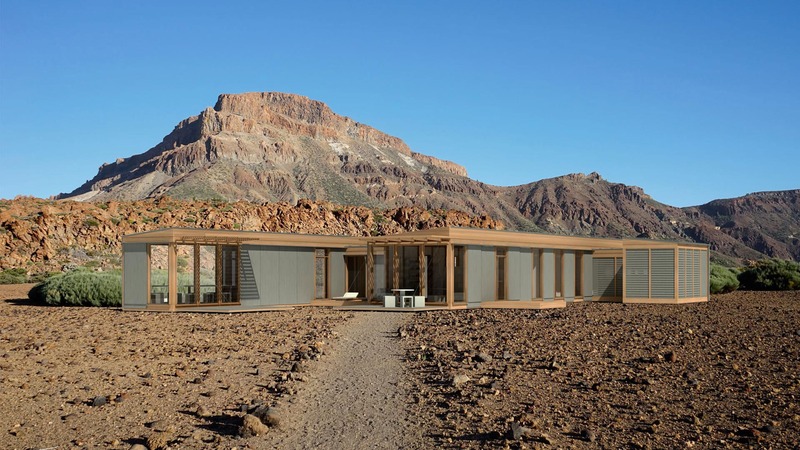 Ubuild is a constructive system that uses prefabricated wood elements making possible any kind of construction. 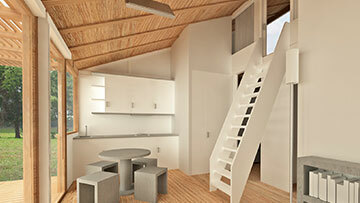 Ubuild constructions are ecological, sustainable, versatile and easy to assemble. You have two options, you can decide building the Ubuild construction by yourself with our assistant at all time in case of any question or we can do the haul process for you. You can imagine what you want to have or we can design it for you. Ubuild opens a world full of possibilities so that you can choose. 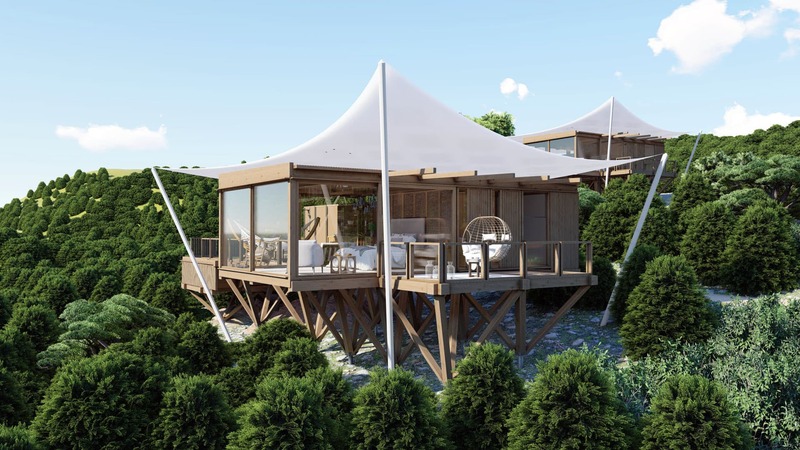 When we say Ubuild, we speak at the same time of ecological house, wooden house, prefabricated house, modular house... When we think Ubuild we imagine green architecture, sustainable architecture, mobile home and flexible housing. You can assemble your house by just using a screwdriver, or disassemble it whenever you want. You can extend the building if needed, and/or modify it according to your needs. You can disassemble and store your ubuild construction or transport it where you want. what can i do with ubuild? Since it is a modular construction system, the number of possibilities is practically unlimited. You choose shape and size. You can make a cabin, a house, a warehouse, a school… Whatever you need, wherever your imagination takes you! Ubuild uses logic and technology to reach the essence of the building process, removing all superfluous elements. A construction becomes a meccano, a serious game for adults. Where other systems don’t offer solutions to people’s needs, Ubuild does! Choose among different construction and size configurations, modify whenever needed, or whenever it is possible for you to do so. You can carry out many of the changes you need yourself, in a simple and safe way, reusing all the materials. Your home is no longer a big conditioning factor when it comes to making decisions, since its versatility, self-sufficiency and mobility open up new possibilities for you. A home tailored to your needs and preferences, the way you imagined it, with a modern and elegant aesthetic. Protector products allow you to close the building in a safe way, avoiding unauthorised access to the house. Only you know how to enter. Ubuild’s maximum configuration level is higher that today’s construction systems, and offers great durability. Ubuild offers versatility with the highest quality, at a value for your money that no other construction system can offer. 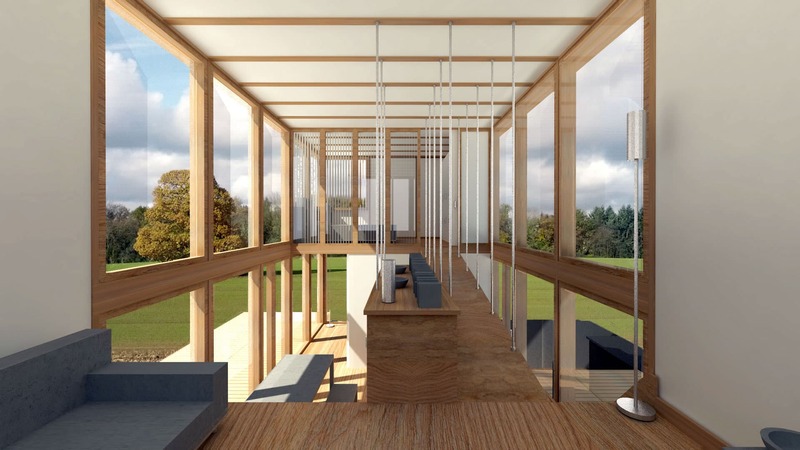 Ubuild is based on wood, and it integrates into natural environments in a respectful way. Ubuild is capable of going one step further. Ubuild can incorporate rainwater and greywater recycling systems, as well as the collect renewable energy for its use inside the house. Nature becomes part of how your home operates. Ubuild’s active thermal regulation allows for an optimal environment throughout the year, using less heating and air conditioning. Wooden interiors are better for your health and promote a feeling of calm after a long, stressful day. The indoor space has perfect temperature, humidity levels, and acoustics, creating a relaxing environment. High technology, precision, wood, work, and imagination. Those are the ingredients used to create the Ubuild system. It offers new possibilities to people when it comes to homes. In today's world, where many things may change several times in the course of your lifetime, your home can be a constant, following you wherever you go.